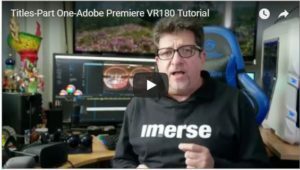 Depending upon whom you talk to, VR180 is either totally unnecessary or the best thing to happen to 360 Immersive videos. 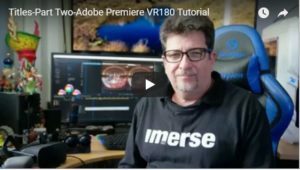 VR180 is much more than half 360. 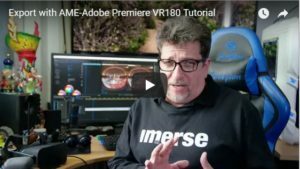 VR180 brings new opportunities and challenges to Immersive video. On a smartphone or PC it looks like a 2D video but put on an Oculus Go or other HMD and it delivers the Premium Experience with full 3D that elicits Wows! 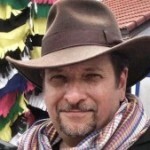 from your audience. 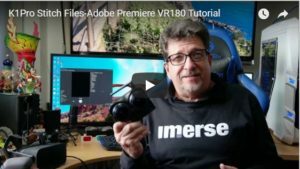 Created by YouTube, VR180 incorporates the immersive nature of 360 videos but lets traditional filmmakers step into the immersive format without the shock of having to hide while shooting 360. Lighting sound, even most camera movements are borrowed from traditional 2D filmmaking while still embracing a truly immersive atmosphere. 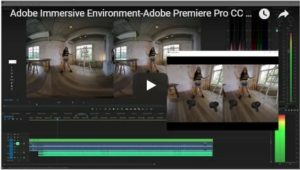 Adobe Premiere Pro CC 2019 has fully integrated VR180 into its workflow and now VR180 YouTube Creators and everyone else can comfortably work in this new format. I was asked to create a set of tutorials to help guide new VR180 filmmakers along the path to create exciting new content. 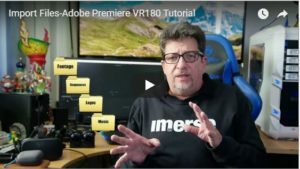 This is the first batch of six (6) VR180 Tutorials and they will be available on my YouTube Channel. There will be many more. But please tell me what you think of these and tell me what you want to see more of. Please leave comments below.